After resigning late today under a huge cloud as NAB’s CEO, Andrew Thorburn has announced a new career in politics. Andrew Thorburn will become Australia’s new treasurer, as soon as he officially leaves NAB at the end of this month. 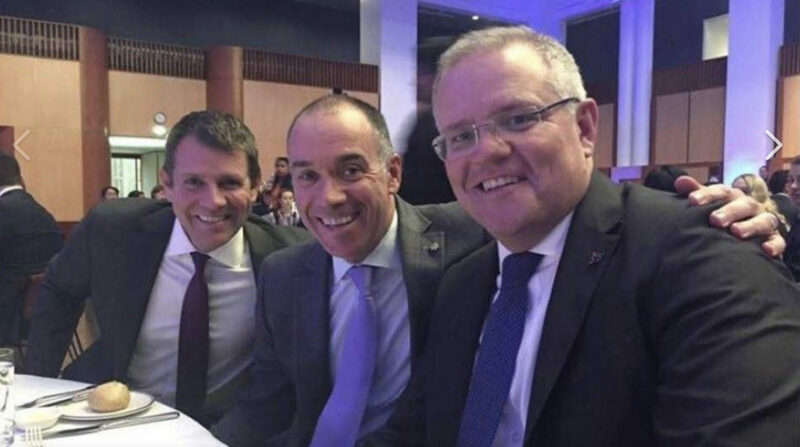 “He may be unpopular at National Australia Bank, but the Liberal Party is excited to have him,” says Scott Morrison. During his time at NAB, Andrew Thorburn raised interest rates after promising to keep them hold. NAB shares fell 26%. And, he was also personally involved in a bribery scandal. Now he’s been publicly savaged by the Banking Royal Commission. Former NSW Treasurer Mike Baird is tipped to take over the CEO role at NAB.